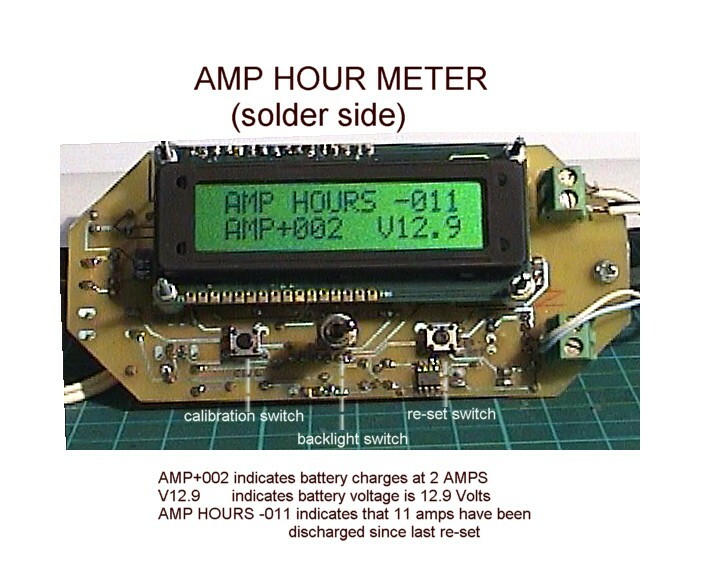 Here are the details of the AMP HOUR Meter which I designed from scratch. I can also supply a programmed PIC 16F84 or 16F628 for AUD 30.00 (plus p.p.) 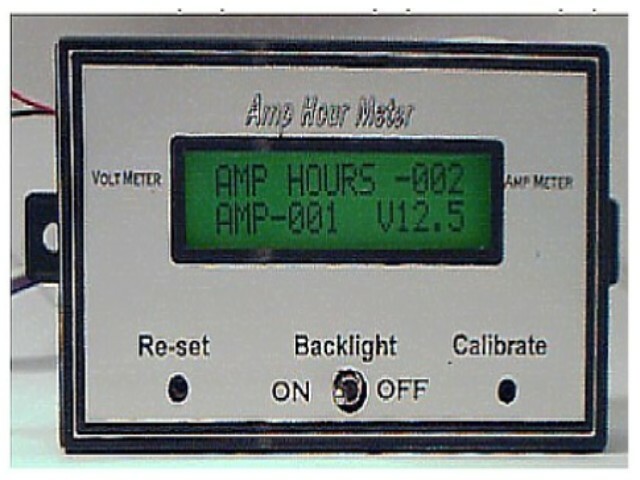 if you do not have a programmer.The AMP Hourmeter displays AmpHours (up to 999Ah), Instant Amps (up to 300) and voltage (eg 12.3)on a 2 line, 16 character (backlit) display.